gingerdoodle cookies. 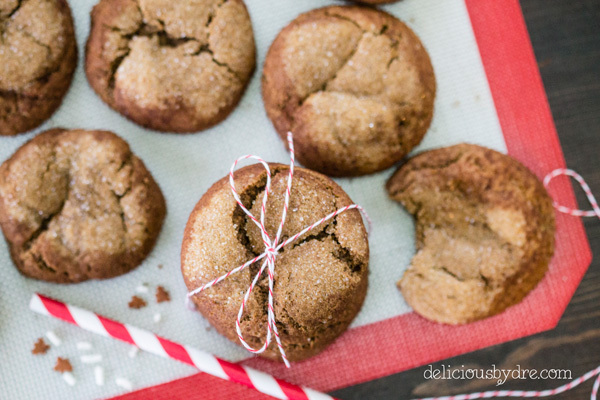 the soft & chewy love-child of a gingersnap and a snickerdoodle. 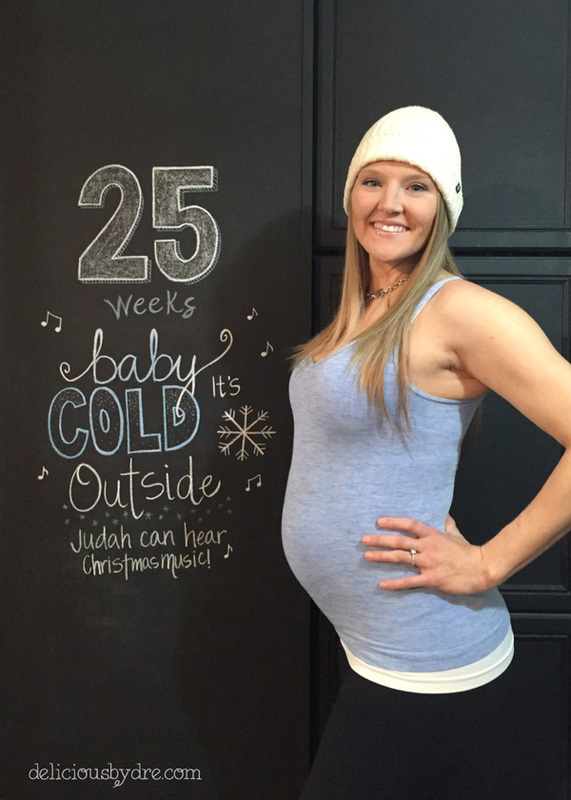 i interrupt my weekly baby bump posts to present you with… the 4th annual food blogger cookie swap recipe! chewy. it’s one of the requirements of a delicious cookie. (who’s with me??) that may be one reason i have never been a fan of gingersnaps. i don’t want a cookie that “snaps.” i want a cookie that you can almost fold in half as you break it apart… and that is exactly what i’m giving you today. 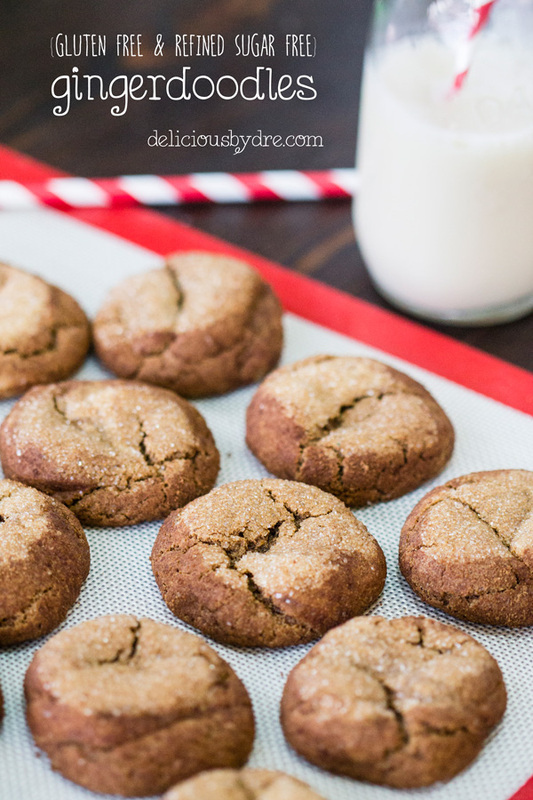 the soft and chewy love child of a gingersnap and a snickerdoodle. i can assure you there is nothing snappy about this cookie, which is why i named it a gingerdoodle and not a snickersnap. 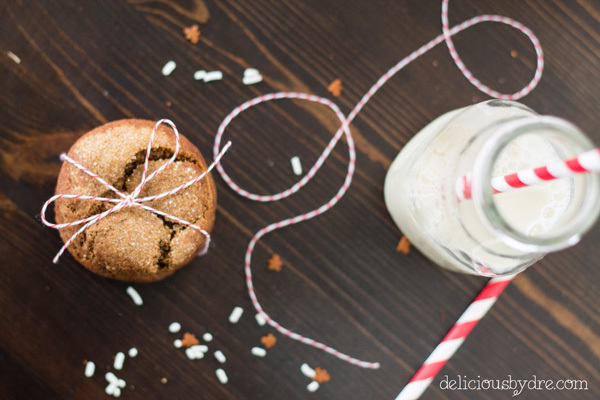 the “refined-sugar-free” part is just a bonus. the coconut sugar has a very low glycemic impact (which means no blood sugar spike after eating them) and it makes them great for just about anyone on a special diet. 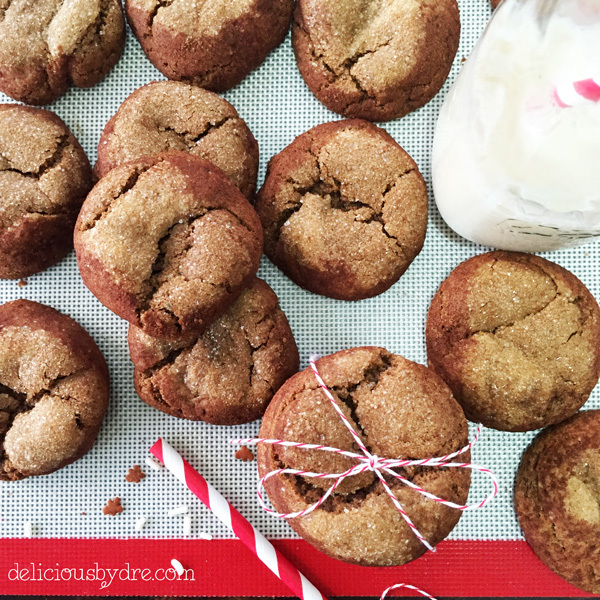 coconut sugar gives the cookies a very similar taste and texture that brown sugar would when baking. it took several trials and errors before these cookies were perfected to soft and pillowy greatness. the final result is a cookie made up of 2 separate doughs twisted and rolled together just before baking. i really tried to find a way around the extra step because i’m all about simplicity, but it’s worth it. i promise you. 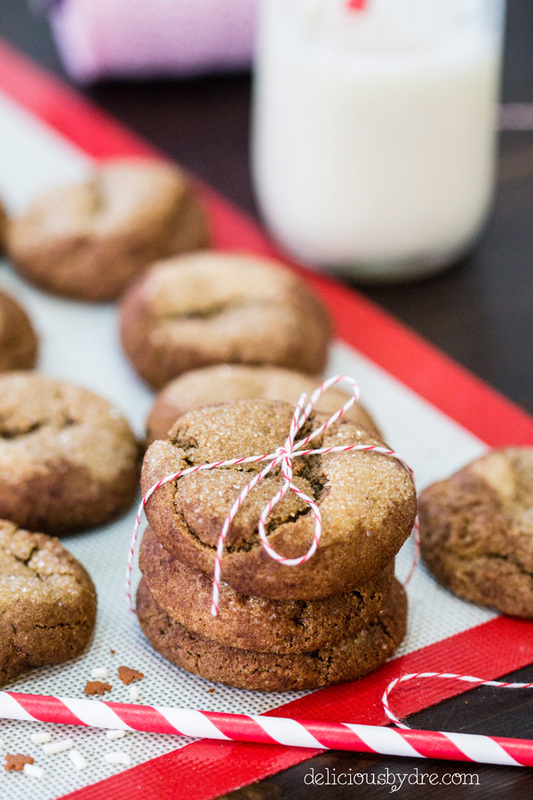 once your gingerbread and snickerdoodle doughs are created, you’ll want to chill them in the refrigerator for a few hours before rolling together your little balls of cookie dough. chilling the dough makes it exponentially easier to work with, so if you skip this step… just be warned. to chill, i wrapped up my dough in a piece of saran wrap to prevent it from drying out and to save space in the fridge. 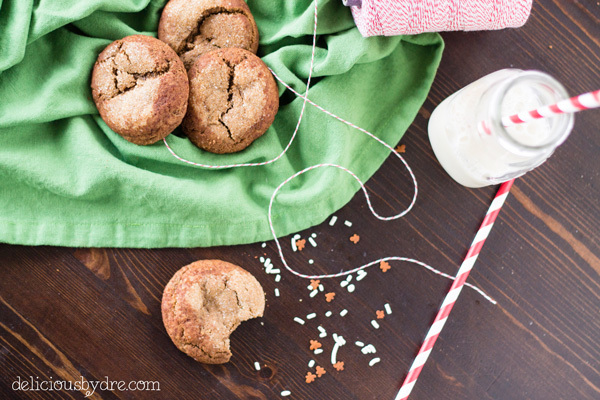 once your doughs are chilled, it’s time to create your little gingerdoodle balls. i used slightly more gingerbread dough than i did snickerdoodle dough, about 60/40. 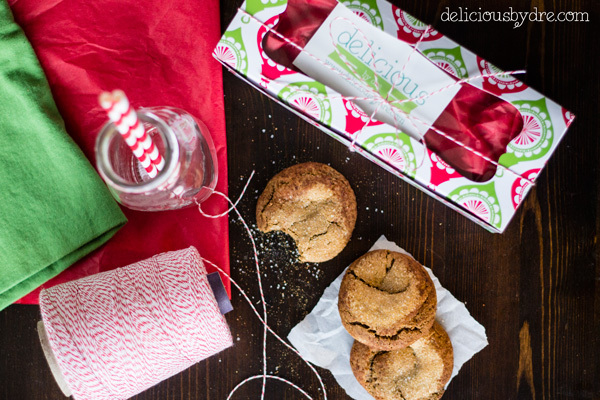 when weighed out, each of these cookies consists of 20 grams gingerbread and 15 grams snickerdoodle dough. weighing your cookies is not necessary, i just wanted to give you an exact idea of the ratio i used. next, take the both doughs in your hands and gently twist them together before rolling them into a ball. your dough should create a marbled effect, you don’t want to roll it to the point of the doughs completely mixing together. if you find either of your doughs to be sticky when handling them, here’s a little trick. do not add additional flour or put flour on your hands as some might do when baking with traditional dough. gluten free dough is a different animal and the best technique to prevent the stick is a little moisture. just wet your hands with a few drops of water before rolling the dough and it should take care of the problem! 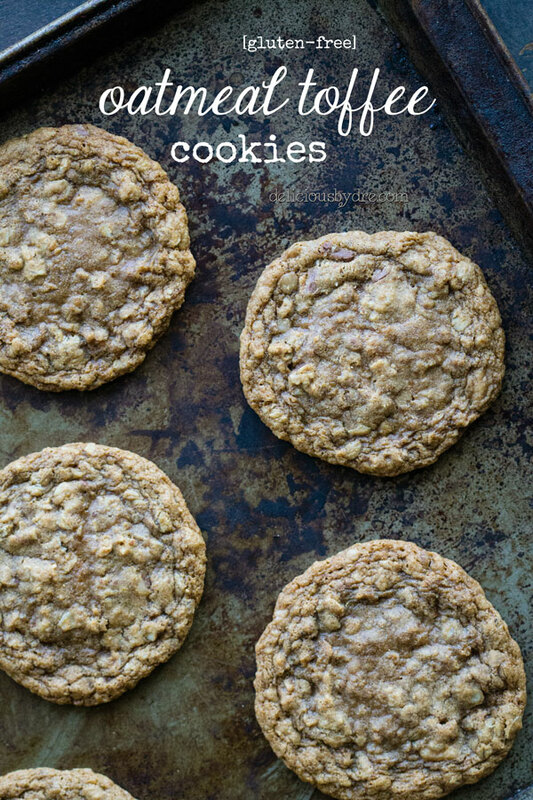 i sent these cookies out to…. betsy, ruthie, & jamie. and received these cookies from… guyla, melissa, & amy. 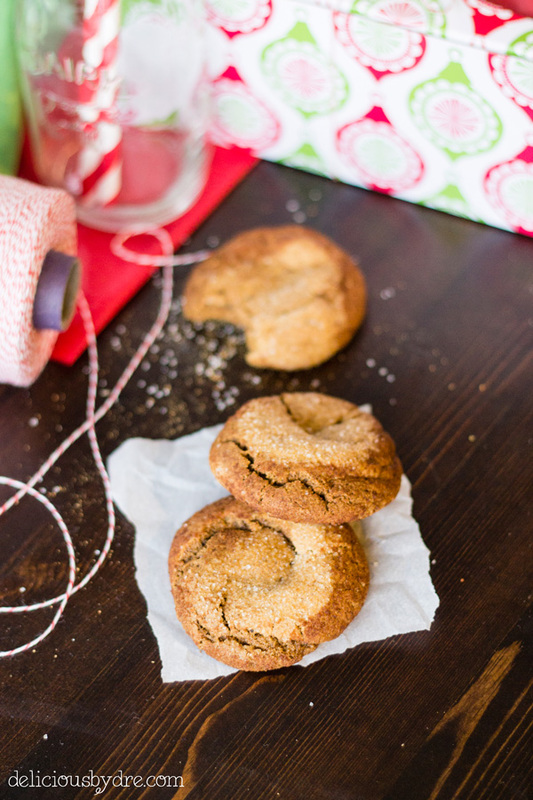 for more chewy, gluten-free greatness… try these cookies from last year’s swap! repeat following steps for each dough separately: in a medium sized bowl, mix together flour, salt, and spices (all dry ingredients except sugar) and set aside. using a stand (or hand held) mixer, cream together butter and coconut sugar. next, add in wet ingredients (egg, vanilla, molasses) and beat on high until well combined. lower mixer speed and slowly add in dry ingredient/flour mixture. once combined, wrap up cookie dough in saran wrap and refrigerate for 2-4 hours (or up to one week) until ready to bake. 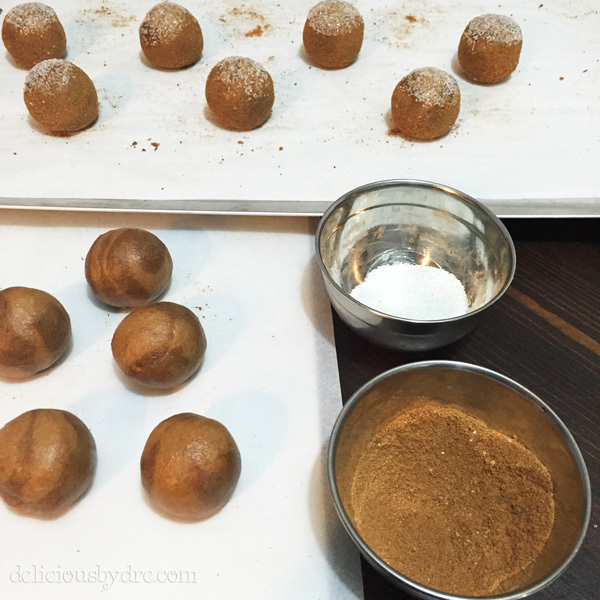 combine about 20 g gingerbread dough with about 15 g snickerdoodle dough (60/40, respectively) by twisting the dough together and rolling it into a ball. dough should still appear marbled and not be completely mixed together. bake for 12 minutes. allow to rest on cookie sheet for an additional 5-10 minutes before transferring cookies onto cooling rack. store cookies in airtight container at room temperature for up to 2 weeks. unbaked balls of cookie dough can be frozen for up to 2 months; increase baking time by 2 minutes if baking from frozen. I was one of the lucky recipients, and these were delicious. I shared them with some friends who came over and everyone loved them. I wouldn’t have guessed that you combined two different doughs. Clever! Thank you for the cookies! 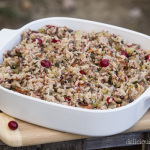 Amy recently posted…The Great Food Blogger Cookie Swap!